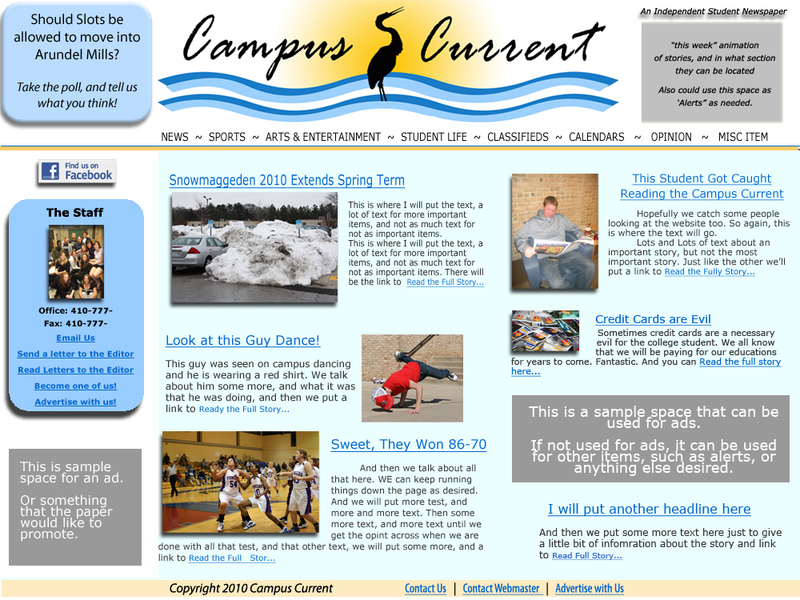 I would like to create a web site for the school newspaper, The Campus Current. 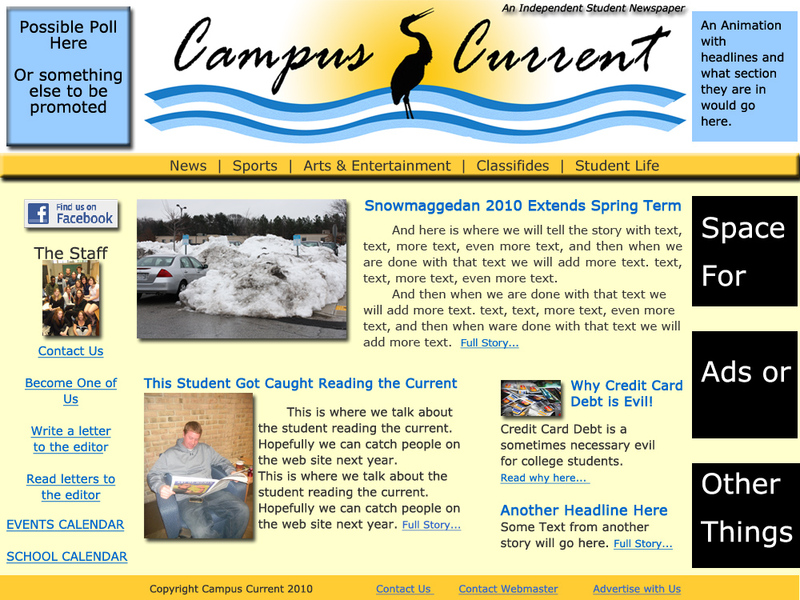 They still don’t have a web site, and even at the beginning of last year it was a a major goal to get the paper online. So I know they’d be thrilled to have one by the end of this year. The bulk of the site will be text and photos, essentially the same things that are in the physical newspaper. I also want to add a few pages of information that will be constant, such as links to student discounts, basic school information like a calendar, etc. I will work with the newspaper to layout the design of the page, and the style of it. Even if I am not affiliated with it next semester, I would like to leave the bones for someone to take over, so AACC’s newspaper can get up to speed with technology. A friend of mine owns a drywall finishing company, Drywalls Elite, and would like to have a web site built. This would consist of a listing of services offered, photos of different faux finishes, completed work, contact information, etc. All information would be acquired from the owner of the company.